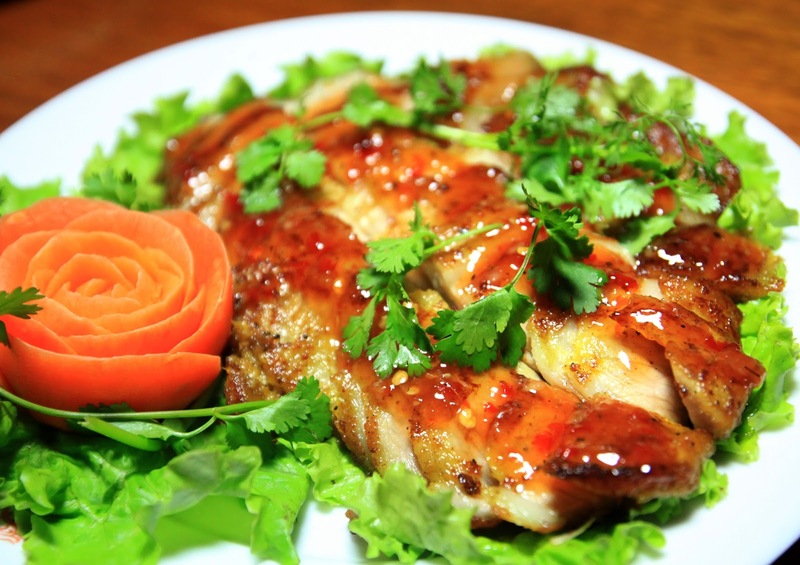 Sapa not only attracts visitors by charming scenery of mountains, but also delicious dishes. 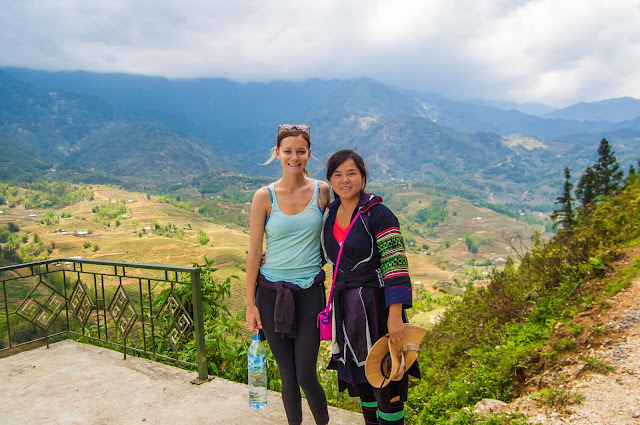 So, if you are going to discover Sapa, you want to enjoy the best beauty of mountain region, have a great experience about a daily life of ethnic minorities. 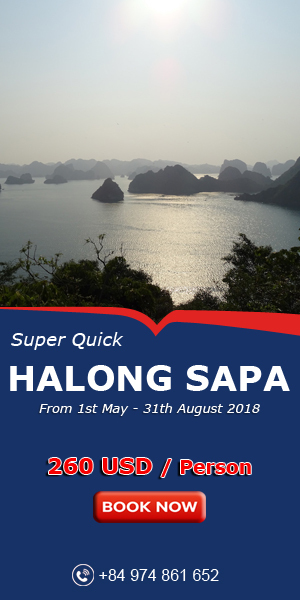 However don’t miss try to eat the appetizing Sapa specialties ... where there are many other interesting delicacies that are just Sa Pa. 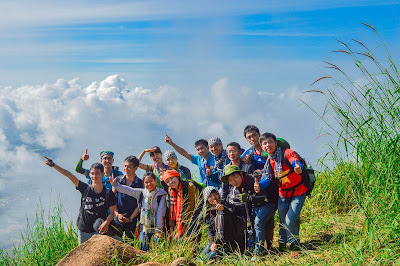 Thanks to temperate climate, Sa Pa can be rear successfully. 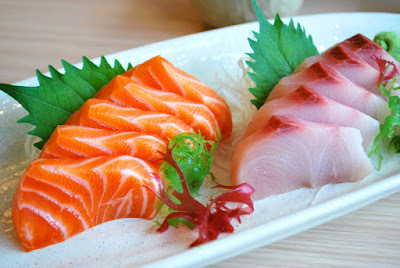 Unlike imported salmon, Sa Pa salmon is very fresh with pink color, low-fat and highly nutritious. Salmon reared in Sa Pa is mainly rainbow trout. If you want to see how they rear salmon, you can visit Silver Fall. It will be a big missing if you don’t try the flavor of Thang Co, a specialty of the H’ Mong ethnic minority. 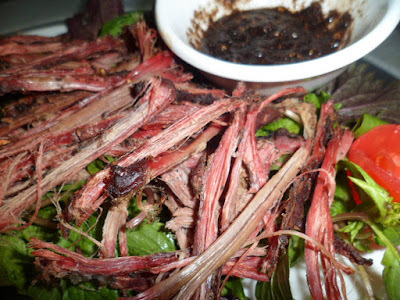 The main materials of Thang Co are horsemeat, sometimes using buffalo, cow or pork. And the most important ingredient of this dish is forest vegetable. “Caught in hand” is a phrase of an image of Sa Pa people catch pigs in their hands to the market to sell. The buyer will do the same action to bring pigs home. Pork meat is the special dish of this highland. 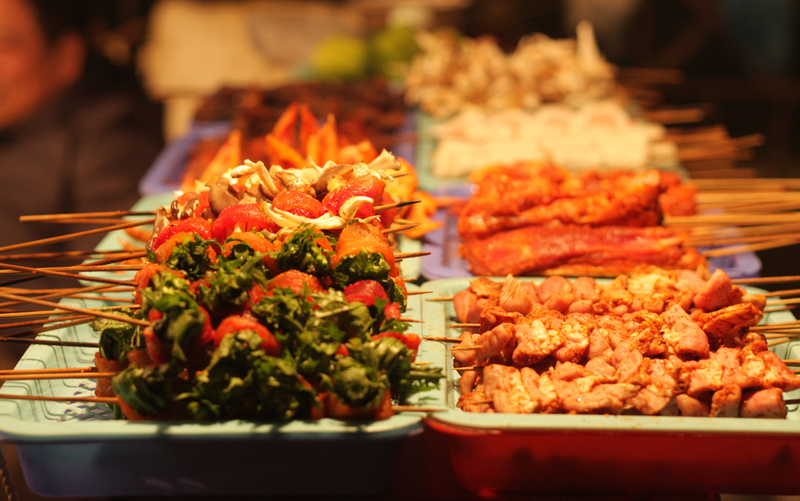 If you don’t try pork meat, that means you haven’t been in Sa Pa yet. With many recipes and delicious meat, sipping with some wine will make you fall in love with this dish at very first sight. Barbecue is one of the most popular speciality and easy to find when you arrive in Sapa, the stores of barbecue are available everywhere in town with different kinds. If you're hungry, you can choose a skewer of local mustard rolled with beef, chicken and steaky rice, ... Also looking for something to sip on a walk, hot grilled corn, fried salmon or sturgeon are the options for you to consider. Personal stream types and it is noteworthy that no fishy taste. 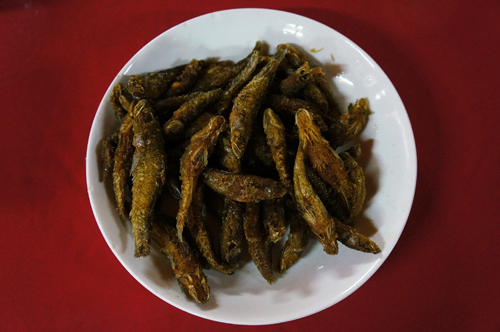 Eating fish simply cooked streams on charcoal,then eat right or grilled over hot, crisp fried and then fried with tomato sauce spiced with curry powder, pepper powder is on the tray had a delicious dish . “Thit gac bep” is a kind of meat (usually meat of horses or pigs) that hung up by the H’ Mong. These meats usually chopped into pieces and hung up. When eating meat, they just need to clean dust and cook with forest vegetables like bamboo, tomatoes, etc. It’s really attractive dishes for all travelers in Sapa. With the cool climate all year round in Sa Pa create favorable conditions for growing chayote. 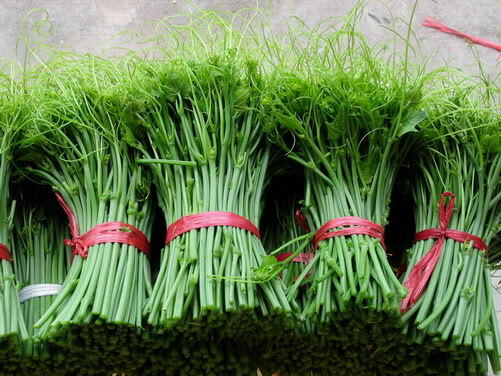 Thus, this vegetable is quickly becoming one of the many specialties in the mountainous town. Everywhere around town, you are easily to see the chayote rigs being full of green fruits. Two dishes made from chayote which any tourist want to try the stalks of chayote sautéed garlic and the fruits being boiled with carrots. Chayote leaves after being fried wich create crispy and buttery taste, combined with white garlic that dishes became more bold. Meanwhile, the fruit was eaten boiled with sesame. Mustard is small vegetables. Previously, this kind of vegetable was grown for food and not for sale. 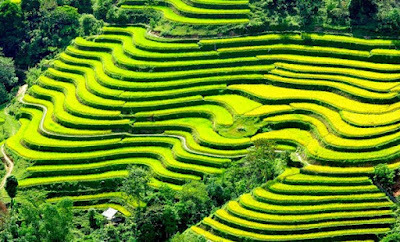 However, with the development of tourism, the mustard has been extended over the crop. Mustard is usually fried, boiled or eating with hotpot but the special dish is the mustard soup with ginger. 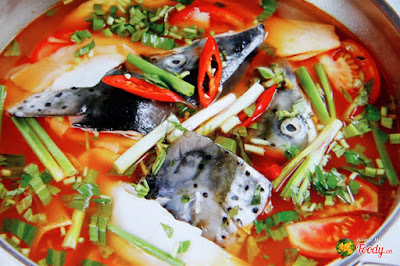 It depends on different places, this soup is put with minced chicken or pork. Whether cooked in any way, this soup still remains cool naturally sweet and slightly bitter. In Sa Pa, wild apple grows by itself in forest, especially on Hoang Lien Son Mount in Sa Pa. this kind of fruit is like a nature gift for H’mong people. Wild apple is made of the taste forest, a little sour, sweet and acrid. The wild apple will be steeped in a long time to make wine. Wild apple wine is steeped in big bottle. 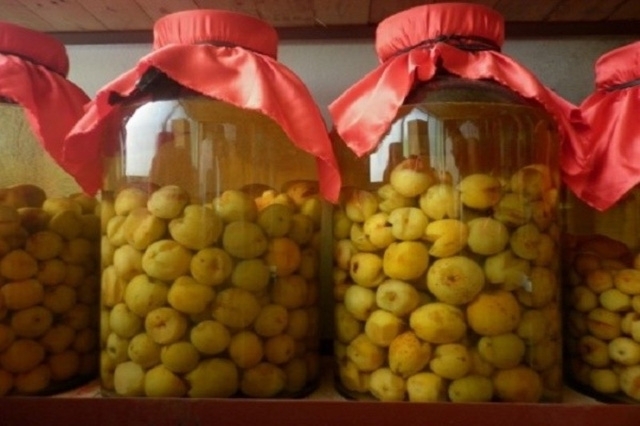 Its recipe is like steeped plum but with less sugar. Before steeping, we peel and soak in water then dry the wild apple. At the first time, you will feel that it is just like a common fruit juice. But when you drink more, you can feel the taste of the Northwest forest.